At Jefferson Animal Hospital, our goal is to ensure that all of our clients and patients leave our facility satisfied. We would love to hear about your recent visit with us - your feedback is greatly appreciated and helps the Fern Creek Medical Center family grow each day! "I just want to say thank you all for you kind and tender care for my sweet boy Charlie. From giving our family updates on his treatment, to the kindness and empathy during his last breath on this earth, we really appreciate you all." "Our cat was experiencing an acute issue at 5 AM on a Sunday morning and the wonderful staff at Jefferson Animal Hospital was so accommodating and reassuring as they cared for our four legged companion. I would like to give a special shout out to Jerusha who went above and beyond to help us! Thank you so much. My wife and I (and our cats) definitely recommend Jefferson Animal Hospital!!" I couldn't be happier with the veterinarians at Jefferson animal hospital. 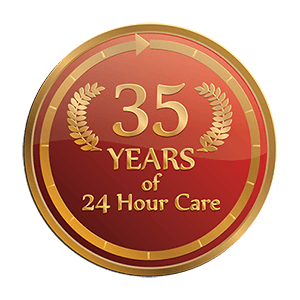 I feel they're highly professional, knowledgeable and really care about my pets and helping me give them the best quality of life possible. -Lesa K.
Wonderful Place! Very professional and kind. They saved our precious fur baby! 5 stars I feel that all the doctors I have met have my pets utmost interest at heart They make me feel safe when I need to leave my pet in their care. -Sandra W.
Laura was very helpful and kind. She was patient and took great care of us. -Missy H.
I was very upset because my kitten was injured. The staff was very courteous and compassionate. Thank you to everyone! My kitten is doing better and back to his normal self. -Erin B. Excellent experience! We go to the Outer Loop facility, but dogs and people agree we be with the staff, the environment & the level of care our babies received. Highly recommend! - Trish S.
The people who work here are very friendly.They are very sweet to my dog,peanut.They help me with all shots that are needed take time to explain what each shot is for. I would recommend them to anyone who needs the proper care for your pet.I use them as my regular vet. Not just emergencys. Last week our 11 year old female Jack Russell Terrier became very ill overnight. She was feeling a little “off” before bed so we planned on taking her to our vet in the morning. She woke up with tachycardia and other symptoms so I took her to Jefferson Animal Clinic at 0230am in hopes they would be able to stabilize her and figure out what was happening. She had been healthy up until maybe a few days before this situation. The receptionist and vet were very kind and explained everything as it was occurring. After exam and blood work they told us she had kidney failure and we had to get fluids in her right away if she was going to have a chance. About 2.5 hours later she had been stabilized and was hooked up to an IV and being well taken care of in the kennel area. I went home to get rest and go to work. The vet promised to call if there were any changes. I called in the morning and she was still resting. Even though we've all tried to figure out what happened, including my regular vet working with the emergency vet, we don't know what caused the kidney failure (final diagnosis was chronic renal failure). This is actually a fairly common experience for vets, just not for pet guardians so it's pretty scary. This place is worth it even for just regular vaccines. We're moving in days and I found out my cats were due for shots three weeks ago, not next month like I thought. Our hotel and new apartment require up-to-date vaccination records so I needed to get them done. Combine that with the fact that I generally work very long hours and it's not easy to find a vet with really late hours. Well, JAH does! I called at 6pm and got a 7:30pm appt that night as I got off early when our computers went down. Both cats got vaccines, blood work, fecals, and ear swabs and it was $300 less than I paid my last vet a year ago! It also took less time and I only waited about five minutes once I came in. While my cats are fine around dogs, I think it's a great idea that they have "cat only" rooms. I hope I can find a similar group of vets down in NC like they have at JAH.